Elinor F. Whitmore is Vice President of the Stitt Feld Handy Group, a division of ADR Chambers, and is a mediator, facilitator, workplace consultant, and certified professional coach. Elinor’s primary focus is to help people deal with issues and resolve conflicts in the workplace. Since 1992, Elinor has mediated all manner of workplace conflicts including disputes between colleagues, between managers and employees, and within teams. Whether working with individuals, pairs or teams, Elinor combines her strong conflict resolution and problem solving skills with her understanding of individuals and interpersonal dynamics. Elinor helps her clients to have difficult conversations, resolve conflicts, and improve workplace functioning, communication and morale. In 1999, Elinor was awarded the designation of Chartered Mediator. As a coach, Elinor has worked with executives, directors, senior managers and other individuals who were looking to develop specific skills. She has a particular focus on coaching individuals to improve their capacity to resolve conflicts, have difficult conversations effectively, manage difficult people, and help further develop their high performers. In addition to mediating, coaching and providing workplace restoration services, Elinor teaches mediation, conflict resolution and how to deal with difficult people and have difficult conversations. 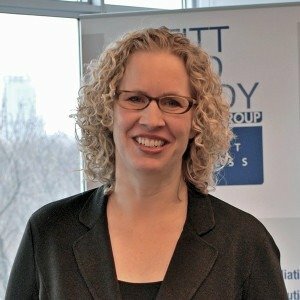 She has taught throughout Canada, the United States, Australia, the Caribbean, and the United Kingdom including customized programs for such clients as: BMO, HRPA, BDO Dunwoody, Honda, the Law Society of Upper Canada, the Ontario Human Rights Commission, the Ontario Securities Commission, and the RCMP.  She has been a member of the part-time faculty at Osgoode Hall Law School and has lectured on mediation and conflict resolution at the University of Toronto Law School and at the University of Windsor Faculty of Law. She also co-designed the advanced program on Mediating Interpersonal Disputes for St. Stephen’s Conflict Resolution Service. Elinor received her LL.B. in 1990 from Osgoode Hall Law School and was called to the bar in 1992. Elinor attended many programs in dispute resolution including the Harvard Mediation Workshop and the Harvard Advanced Negotiation Workshop. She also completed a mediation internship at the Ontario Court (Provincial Division). In 1998 she earned her LL.M. in Alternative Dispute Resolution from Osgoode Hall Law School where she studied Advanced Mediation.